Heroes of 71 (হিরোজ অব ৭১) -was the first ever significant Bangladeshi mobile based game upholding Bangladeshi culture and heritage, our liberation war. 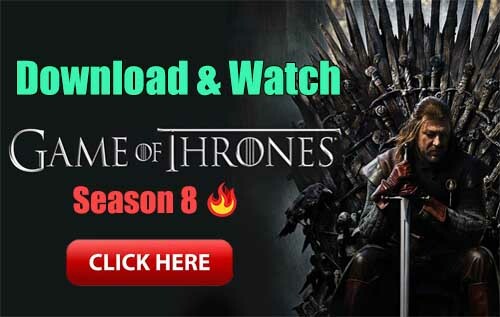 It achieved 450,000 Google Play Store downloads, 750,196 total active users, 7 million total session and user rating 4.7, according to Google Analytics data. Now the makers are planning for even more penetration. The sequential version of this game released on 26 March 2016 named as Heroes of 71: Retaliation. 3D graphics and animation used in game are designed according to actual environment of war in 1971 that gives user experience of conquering in a combat environment based on Liberation War Bangladesh. “Heroes of 71: Retaliation” (হিরোজ অব ৭১ রিটালিয়েশন) starts with a continuation from its predecessor, “Heroes of 71” (হিরোজ অব ৭১) that depicts the Shamsu Bahini capturing a strategically important Pakistani base at Shanir Char, Barisal, and defending it to the last breath. Though they survive the brutal battle, Sajal is killed. Now Shamsu Bahini has set their hearts to revenge for their fallen comrade. A new mission awaits them. Pakistani forces have kidnapped a group of women and are holding them in a torture camp located at Ullar Haat, some miles away from Shanir Char. Shamsu Bahini have to rescue these brave women without a single casualty. As Shamsu Bahini captures the camp they meet another female guerrilla fighter Anila, who was captured during organizing an armed women guerrilla group. 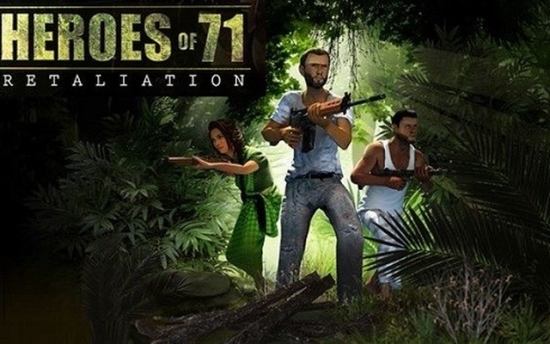 “Heroes of 71: Retaliation” (হিরোজ অব ৭১ রিটালিয়েশন), apart from presenting new missions and new characters, is different in gameplay from its predecessor, “Heroes of 71” that confined the player to one position without allowing any movement. The new game has radically changed these settings and allows the player to move forward while fighting the Pakistani Junta, according to the developers of Portbliss Games. There will be more than one level. First level is about to rescue civilians and next level is about blasting a bridge to bar enemy resource supplies. All levels are interlinked to each other and dependent on game story. Levels are designed with improved graphical performance and visual appeal. New terrains added with both day and night time simulation to give a new combat experience. Objective of the game is to make target market aware of the culture and history of Bangladesh through mobile games. New generations are growing but unaware about own culture and heritage which we are going to preserve. We plan to ship user experience of conquering in a combat environment made based on Liberation War Bangladesh. It will help users to have a feeling of winning with awareness about liberation war as the base of culture and heritage of Bangladesh. 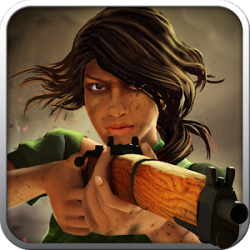 Developers have the plan to take this game forward to bigger missions covering all the significant events of the Liberation War of Bangladesh in future.